Zimbabwe’s upcoming elections are being billed as the most important in a generation as the southern African nation tries to rebuild after Robert Mugabe’s 37-year rule and revive an economy that’s halved in size since 2000. The vote, which must be held by Aug. 22, will be the first since independence in 1980 that doesn’t feature Mugabe on the ballot — he was forced to quit in November after the military briefly took control of the country. While new President Emmerson Mnangagwa has promised free and fair elections, opposition leaders say there’s a mountain to climb after two decades of violent and disputed votes. The opposition says key Zimbabwe Electoral Commission staff have links to the military and intelligence services and wants the body overhauled. The commission and the government deny the allegation. 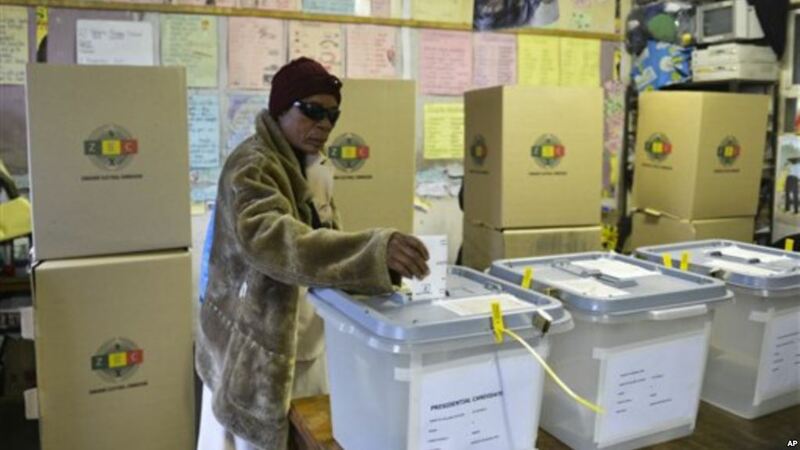 The opposition says it hasn’t seen the voters’ roll for the upcoming election, let alone for the 2O13 contest when the ruling party was accused of manipulating the register to win a two-thirds majority. It wants to be allowed to access, audit and sign off on the list and a say on where materials such as the ballot papers and indelible ink are procured. In 2002, the then-military head Vitalis Zvinavashe declared that the armed forces wouldn’t accept political leaders who hadn’t fought in the liberation war that ended in 1980, a statement that was never recanted. The opposition wants the military to pledge its respect for the constitution and the election outcome. The collapse of Zimbabwe’s economy, which is half the size it was in 2000, has driven about four million people, or a quarter of the population, into neighboring countries such as South Africa and as far afield as the U.K. and Scandinavia. While the constitution guarantees the so-called diaspora the right to vote, the government says it will be logistically impossible. The opposition says arrangements must be made for them to cast ballots. The opposition alleges that broadcast media and most of the main newspapers are biased and that it needs fair access to the press. The law requires all journalists operating in the country to register with the government. The European Union and several other international observers have been barred from many of the elections held over the last two decades. Mnangagwa has said all observers will be welcome for the upcoming vote. The opposition wants them to be allowed to arrive at least three months in advance. During Mugabe’s administration, the ruling Zimbabwe African National Union-Patriotic Front courted traditional leaders and reserved some parliamentary seats for them. Many of them in turn urged their subjects to vote for ZANU-PF, a practice the opposition says must end. Millions of Zimbabweans are in need of food aid, and the government has previously prioritized distribution in Zanu-PF strongholds. In some instances, people have been required to show ruling-party membership cards before receiving assistance. Both practices should be halted, the opposition says. Violence, mainly against opposition supporters, has marred the last few elections, with the Movement for Democratic Change boycotting a second-round presidential election in 2008 after about 300 of its supporters were killed. Peace is a prerequisite for the election to have any legitimacy, the opposition says. The opposition wants the government to amend several laws affecting the elections, including those regulating access to information, public gatherings and security in order to ensure a level playing field.